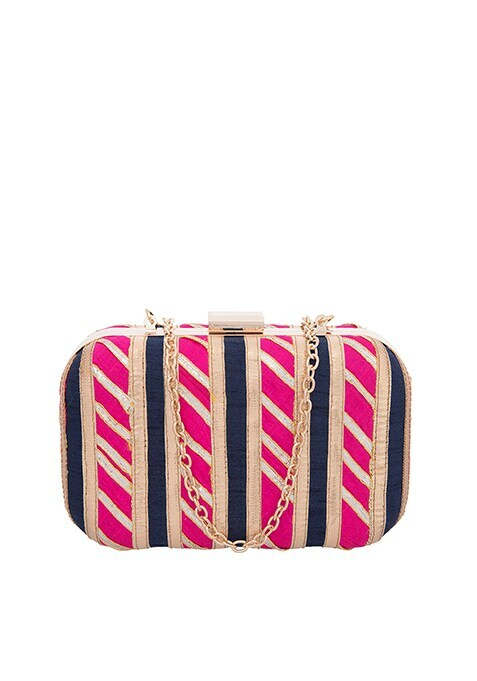 Add some colors to your party outfits with this pink embellished box clutch. Featuring beautiful gotta patti work, this clutch is perfect to be carried with pink, black and golden outfits. Work It: Team this clutch with a black maxi skirt and crop top to look stunning.